We continued up the rainy highway to Glenfinnan where I saw three very different sites. I’ll start with the robin. Could I just say that the European Robin is one of the cutest birds I’ve ever seen. (I don’t think “cute” is a professional way to describe a bird, but this bird was CUTE!) Tinier than our robins, he was the size of a chickadee. 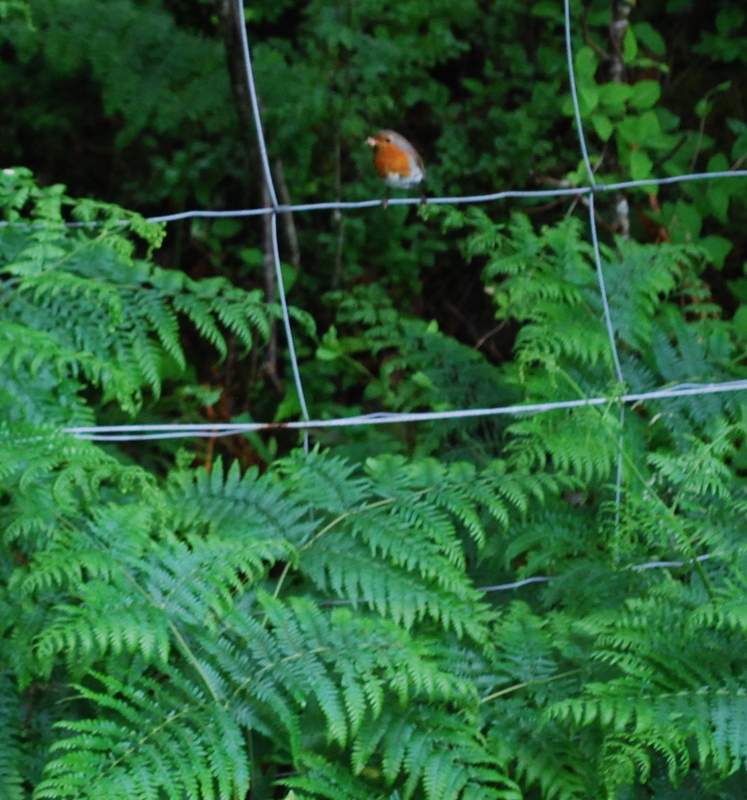 His red breast is also more orangy/red and therefore brighter than the robins we’re used to. Actually, according to my brother and to something I’ve read, the two birds aren’t related. The only similarity is the red breast. When Europeans came to the New World and saw a bird with a red breast, they named it “robin.” Actually our robin is a type of thrush and the European robin is a flycatcher.